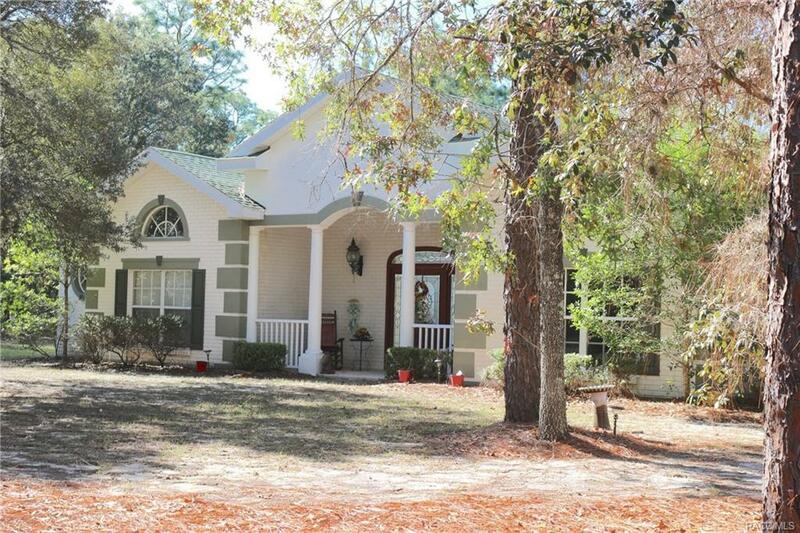 Hard to Find Cabana Pool Home on 7 Acres in Pine Ridge! If you seek privacy, luxury and convenience, look no further! Hidden by the trees and bordering on one of the 28 miles of horse trails in Pine Ridge, this home is beautiful and unique. As you enter the front door, see the pool and waterfall with a separate apartment space for children, parents or guests. Enter the dramatic living area with entrances to both the pool and the lanai. The chef in your home will love the spacious kitchen with storage galore and new appliances. Master suite complete with fireplace. And... the dressing room will be your personal retreat. Barn and pasture incl for your horse! Bedroom 1: 11x14 The bedroom is located away from the other bedrooms, creating privacy for all. Bedroom-Master Suite: 19x20 The Main Bedroom creates an atmosphere of serenity with its gas fireplace and tray ceilings, opening to the pool area and lanai. Bedroom-Master Suite 2: 20x17 The Cabana Room Suite is private and away from the main house but poolside. Directions: Pine Ridge Blvd To Pony Drive To 4020. Family Room: 25x26 The fireplace family room creates a relaxing place for all. Enjoy a view of nature and of the pool from all sides in this spacious room with tray ceilings and multiple french doors to let nature in on those beautiful Florida days.